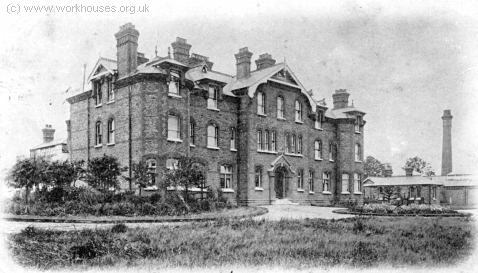 The Northern Convalescent Fever Hospital at Winchmore Hill, Enfield, was one of the two such hospital sites to be established by the Metropolitan Asylums Board, the other being the Southern Hospital near Dartford. The MAB had been set up in 1867 to administer care for certain categories of the sick poor in metropolitan London and between 1870 and 1900 set up a ring of infectious diseases hospitals around the capital. After the passing of the 1891 Public Health (London) Law Consolidation Bill, the MAB entered a period of expansion, of which the Northern was a part. The 36-acre site, formerly part of the Chaseville Park estate, was acquired by the Board in 1883-4. The partnership of Pennington and Bridgen were the architects for the new hospital whose foundation stone was laid in May, 1885. 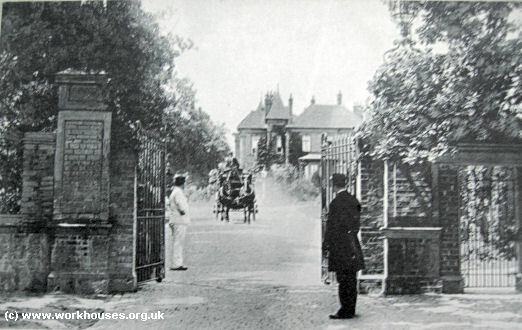 The hospital was opened on 25th September, 1887. The layout of the buildings is shown on the western area of the plan below. The Northern Hospital occupied the south and west of the site, with its entrance on World's End Lane at the east. 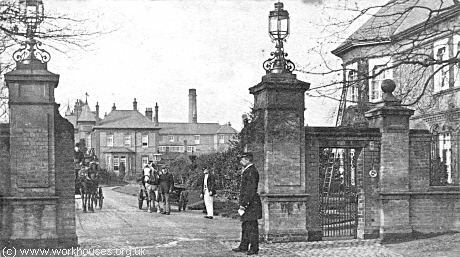 An entrance lodge stood at the easten approach to the hospital from World's End Lane. A two-storey administration building stood the east of the complex. The front portion contained a board room together with staff offices and accommodation. To the rear were kitchens, laundry, coal store and a separate mortuary. On the upper floor were nurses' and servant's bedrooms. 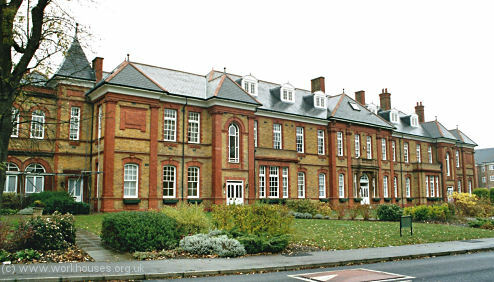 The building was subsequently extended to the west to provide additional accommodation. 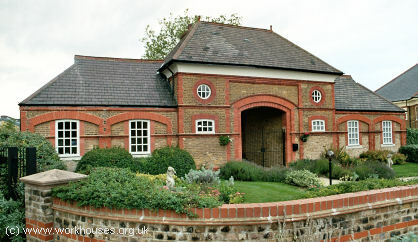 There were also separate houses for the steward and gardener. A three-storey nurses' home was later erected to the north-west of the administration block. Patients' accommodation comprised sixteen villas arranged around a an oval. Each contained a day room, dining-room, lavatories, verandah, and single-storey kitchen annexe on the ground floor, while on the upper floor were 32 beds, bathrooms and lavatories, and charge nurse's room. A double-sized H-plan ward pavilion was later add at the south-west of the site. In 1890, demand for further accommodation led to the erection of nine temporary ward huts providing 200 additional beds. 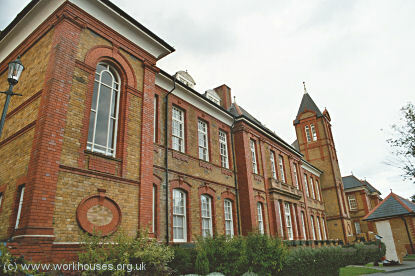 NORTHERN HOSPITAL, WINCHMORE HILL. — The last of the new temporary huts for the accommodation of 200 fever patients at the Northern hospital, for the Metropolitan Asylum Board, were handed ever to the authorities on the 7th inst. These buildings, although termed temporary, are built with brick foundations on a concrete platform; the sides are of timber framing, covered on the inside with match-boarding, and externally with felt and weather-boarding, and the roofs are boarded on principals, and covered with slating and Staffordshire ridges and hips. The wards are each 113 ft, long, and are provided with two centre fireplaces of glazed bricks, and with slow-combustion stoves, and at the ends kitchen, lavatory, and bath are fitted up with hot and cold water. The inside of the wards presents a cheerful appearance, the sashes and doors being painted white, and the match-boarding stained and varnished. Great attention has of course been paid to the sanitary arrangements, and the drainage is laid with Hassall's patent jointed pipes. The whole of the nine huts have been erected in the short time of seven weeks. The architects for the building, are Messrs. Pennington &, Bridgen, and the contractor, Messrs. H. Wall & Co., of Carlton Works, Kentish Town. The Northern Hospital had its own ambulance station situated a little way inside the main entrance road. In 1930, control of the hospital passed to the London County Council. It became an emergency bed service hospital in 1939, then in 1948 joined the newly formed National Health Service. Under the name of the Highlands Hospital, it continued in operation until the 1990s. After its closure, the site was redeveloped for residential use with most of the original buildings surviving. 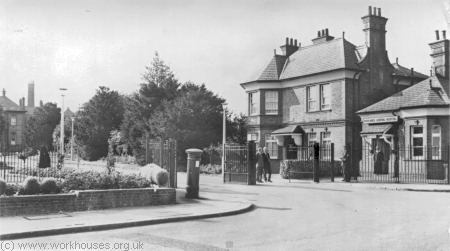 In 1900, the northern part of the Winchmore Hill site became home to a new isolation hospital erected by the Enfield Urban District Council. It replaced a temporary establishment of iron buildings erected in 1891. 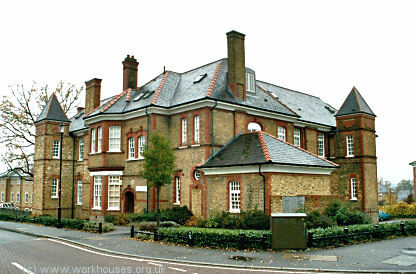 The new Enfield Isolation Hospital, which opened on 10th February, 1900, was designed Mr Collins, the District Council Surveyor, and the construction work was carried out by Messrs. Chesoum and Sons. In 1905, its operation was taken over by the Enfield and Edmonton Joint Hospital Board. At the east of the site stood a three-storey administration block. A small single-storey admissions block lay to its south-west, and a boiler house and service block lay to its north. The original wards to the west comprised six single storey blocks running north-south. 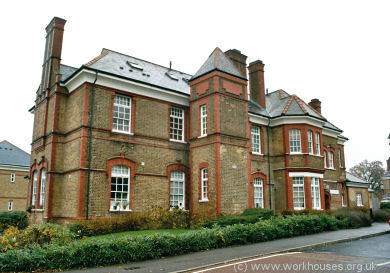 Four further single storey ward blocks, erected in around 1938, stood at the north-west of the site. 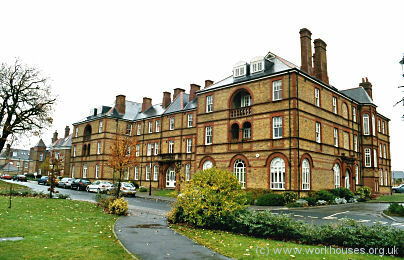 The hospital became part of the National Health Service in 1948 and became known as South Lodge Hospital. In 1966, it merged with the adjacent Highlands Hospital. Following the redevelopment of the site, the buildings were demolished and replaced by a supermarket development.